"Dear harmonica friends and fans, you may now purchase my instrumental CD project, "Songs From The Harp," featuring 13 tracks and a host of great musicians! I hope you enjoy it! 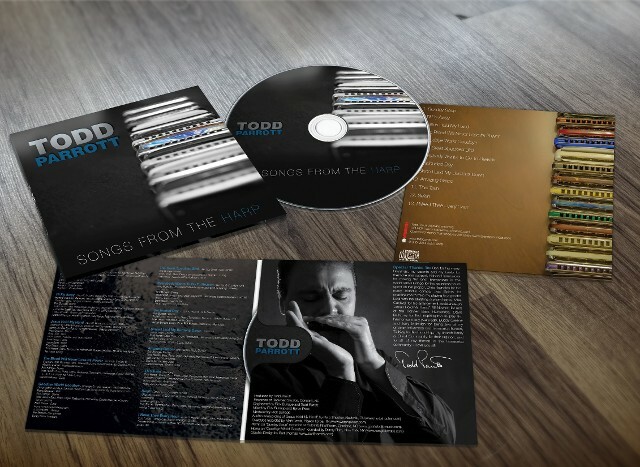 Todd's CD, "SONGS FROM THE HARP" is now available! Use the Paypal button below to complete your purchase. First-class, priority and international shipping options are available. Proceed through the checkout process to update your shipping preference.